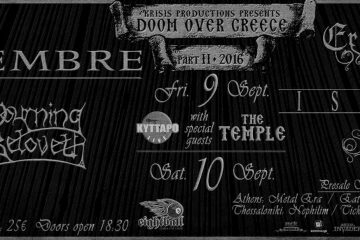 Grabbing the chance of NOVEMBRE‘s first appearance in front of the Greek audience, as headliners of the DOOM OVER GREECE 2016 fest (9th and 10th September 2016), Metalpaths unveils the storyline, of one of the greatest atmospheric metal bands of all times – so far. Together, in the following lines, we will see the facts of their existence and we’ll listen to what we are about to witness live, in terms of music. Join us without hesitation! NOVEMBRE, started out under the name CATACOMB, playing death metal. No official recordings from that era have reached the audiences, so far. 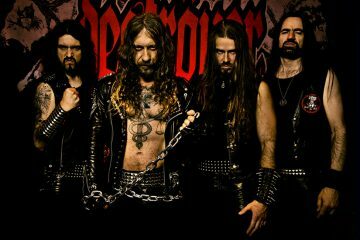 During the next years, after changing their name to NOVEMBRE, they developed a unique, atmospheric sound with a mixture of clean and brutal vocal parts. Though, most of their lyrics are in English, vocalist Carmelo Orlando sings in Italian, occasionally, in many of their songs. They released their first two albums, “Wish I Could Dream It Again” and “Arte Novecento”, via the small Italian label Polyphemus. After signing with Century Media, during the mid-90’s, they released their next three albums, “Classica“, “Novembrine Waltz“, and “Dreams d’Azur“. 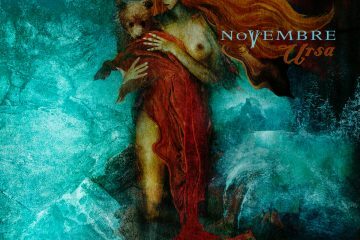 With “Novembrine Waltz” being the one, that brought them to a higher level of recognition, considered one of their best releases. 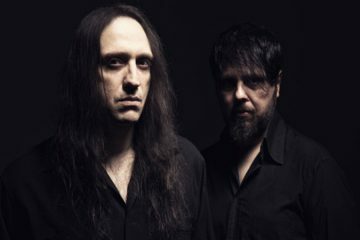 -Later on, NOVEMBRE, signed to Peaceville Records, to release their sixth album “Materia”, which surfaced their progressive rock influences, and their seventh album, “The Blue”, which marked the return of death metal passages. -After eight years of absence, they released their latest studio album, which was released on Peaceville Records on April 1, 2016 called “Ursa”. Having in mind, that this band means a lot to a sound that is slowly fading, none should miss their appearances as headliners on the two days of DOOM OVER GREECE 2016. Hopefully, this guiding text, will pursue the ones that knew nothing about this awesome Italians, to dive into their endless music.